One of the oldest academic buildings on the campus of Stellenbosch University – the former ‘Opvoedkunde’ (education) building that was erected in 1913 under the auspices of the then Victoria Kollege – is now completely renovated and modernised. While the outside of the building with its typical gable and tower still looks exactly the same as it did a hundred years ago, the inside of the building underwent a complete makeover with amongst other features energy-efficient lighting as well as glass doors and walls. Proudly South African recycled building materials were used in the renovation. The renovated building will officially be opened by SU rector Prof Russel Botman on Monday 28 October 2013. According to the architect Mr Jaco Niemann the project has shown that an old building can be made to cater for current demands such as more office space and increasing student numbers: “We also managed to comply with the latest green building regulations. And we did all this without sacrificing the building’s cultural and historical heritage, something that is so unique to Stellenbosch University,” he said. In 1913 the former Opvoedkunde building was the first academic building to be built a little further away from the then Kollege Plain. The purpose was to provide in the growing need for the training of teachers. The idea was that it would be the beginning of “een mooie ry gebouwen, die de Senaat in die vorm van een vierkant op het veld (football field) hoopt te zien verrijzen” (the beginning of a nice row of buildings that the Senate hoped to see arise in the form of a square around the football field). The Victoria Kollege was housed in the Old Hoofgebou on the corner of Victoria and Ryneveld Street since 1896, but it quickly became too small to accommodate all the students. According to SU archivist Karlien Breedt, the Kollege acquired several buildings and facilities, such as the Jan Marais Physical Laboratory in 1898, the CL Marais Library in 1900, and residences such as Wilgenhof and Harmonie in 1903 and 1905 respectively. By 1917, the 40 lecturers at the Kollege provided training to 504 students. On 2 April 1918 the then Victoria Kollege became the University of Stellenbosch after the government of the day passed the University Act. 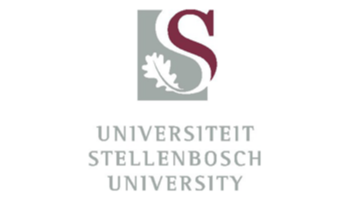 Stellenbosch University was established after a local donor Jannie Marais donated £100 000 to the university. Today SU provides training to more than 28 000 students, with more than 900 lecturers and about 50 research and service divisions. According to Ms Mariétta van den Worm, faculty manager of SU’s Faculty of Science and one of the primary movers behind the project, they wanted to maintain the original character of the building as far as possible. In that regard they kept, for example, the original oregon floors, doors and door handles, and even the typical classroom type of windows looking out into the inner courtyard. However, because the inner courtyard was quite unsightly and unpractical, it was decided to give it a whole new look. Decking from recycled materials was laid over the cement floors and the rest of the square was covered with a glass ceiling. In this way natural light still reaches the courtyard, but students and staff are protected from rain and wind (and the occasional bird droppings). The double staircase, with its cast iron balustrade leading students from the entrance hall to the lecture halls on the next level, is undoubtedly a show-stopper. Today the staircase is one of Niemann’s proudest achievements. The entrance portal is now a festival of light and airiness. Randomly placed downlights create the effect of a starry sky. Combined with two skylights, the light is reflected by large marble tiles. The feeling of light is carried further through the enormous glass doors on both sides of the portal, leading to the two academic departments. The three lecture halls were also revamped and furnished with the latest technology to support teaching. By replacing the old seats, they managed to fit in an additional 50 seats. And of course the workers also had to remove several years’ chewing gum from under the desks! The newly renovated building now houses the Departments of Mathematical Sciences at the one side and Industrial Psychology on the other. The cost of renovations amounted to R18 million, of which the biggest expenditure was the renovation of the roof of the building. The national Department of Education, SU’s Faculty of Science and Faculty of Economic Management Sciences, as well as SU’s Facilities Management contributed towards the cost. According to Ms Van den Worm, when she started with the project back in 2005, the idea was to make better use of existing facilities to provide in the demand for more office space and to accommodate a growing student body. At the same time, the long term vision is to house academic departments as close as possible to each other. In this case, the newly renovated building will house one division of the Department of Mathematical Sciences. Over the next few years, the other two divisions – Applied Mathematics and Computer Science – will also move into the same building. “But that is another project for another day,” she quips.